Owning a pharmacy can be a stressful business… selling one can be even more so. Anyone who owns a pharmacy will, at some point, start to think about selling it. This is a huge step and one of the most important a pharmacist is ever likely to make. 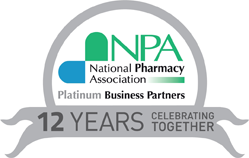 Since most pharmacists only sell a business once it is something they need to get right first time. Selling your pharmacy for all it’s worth gives a unique insight into the sales process and its many pitfalls. In this original guide, one of the UK’s leading experts, Anne Hutchings, provides an inside view of how a pharmacy business should be valued, how buyers are found and how a sale price should be agreed. 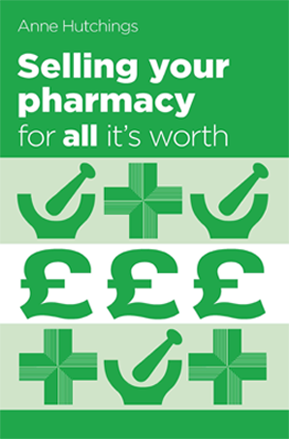 To order your copy of Selling your pharmacy for all it’s worth visit Amazon or if you are a pharmacy owner thinking of selling, please complete our form to obtain your free copy whilst stocks last. To find out more about the book, listen to Anne Hutchings short video here. MrMrsMissMsDr Please leave this field empty.